Earlier this summer, ASR began using a new look which we are happy to formally announce today! ASR worked with Tight Ship Design to develop a new logo that exemplifies our commitment to data as a catalyst for change. 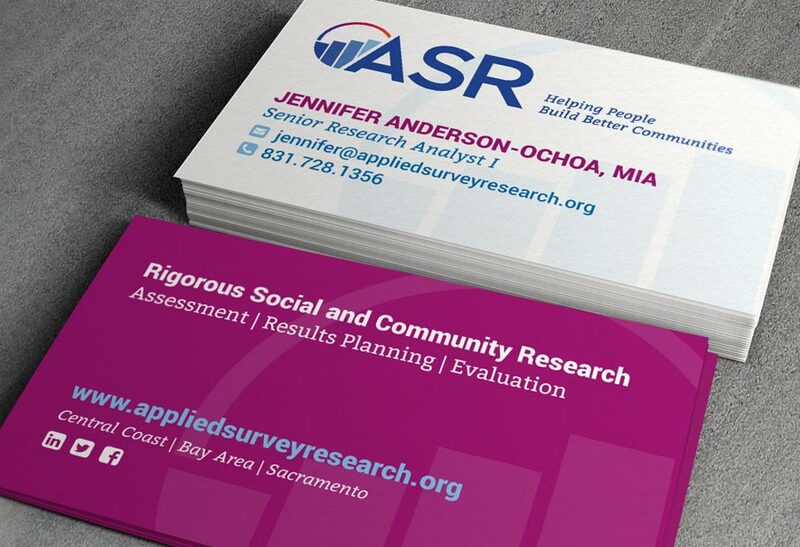 For nearly 40 years, ASR has served our partners through rigorous social and community research coupled with a commitment to helping build better communities. ASR is passionate about well-being for all and honored to work with partners seeking to measure and improve the quality of life for all people. We have had a lot of fun as we begin sharing our new look across our products. We strive to make our messages easy to understand, recognize, and engage with and feel that this coordinated approach will offer us the tools to do just that. Did our new look catch your eye? Or was the transition more subtle for you? We would love your thoughts! Please consider signing up today to receive our eNews! Past eNews have focused in on the demography crisis in California, explored school readiness in depth, and highlighted project releases. How do I get the free stuff? Follow the step below by 12/31/2018 and you are on your way to some old fashioned snail mail complete with ASR swag! Sign up for our eNews using the link below - be sure to provide your address details and check the box signing up for ASR goodies in the mail! Already receive our emails? Make sure to follow the link in the eNews sent on Wednesday, September 19, 2018 to update your subscriber preferences to say you want to get cool ASR stuff too!